Information Technology Infrastructure Library (ITIL) is a standardized set of processes, procedures, and best practices that offer guidance on how to more closely integrate IT operations with business needs. Implementing ITIL can help IT teams deliver a more holistic end-to-end service by breaking down the departmental walls that sometimes cause them to work in a silo. As ITIL is just a set of guidelines, organizations are not bound to implement every step of the process and it’s the most widely adopted approach for IT service management. Once you’ve embraced ITIL in your business, services like Freshservice can help you to enhance your service delivery by standardizing and automating service delivery processes, such as problem, change, and release management. In this article, we explore what ITIL is, the five volumes, or books, that make up the library, and how Freshservice, an ITIL-based service desk platform, can help your organization deliver service management rooted in ITIL. To explain how ITIL works, let’s use payroll as a business application example. 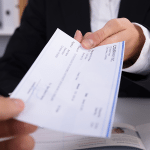 Previously, IT firms would pitch to their clients that they could take care of the hardware required to consolidate employee information, calculate salary, and create paychecks at regular intervals. They would deliver, install, and maintain the infrastructure. Other payroll aspects such as time tracking and benefits calculations were considered as separate services. The client couldn’t use the business applications unless they found someone to integrate them into the existing infrastructure. With ITIL, the same IT department covers every aspect of payroll delivery including time tracking and benefits calculation. The service can be implemented in full without the need to engage other service providers. More importantly, implementation of ITIL means that firms have to address any day-to-day issues that may arise while providing continual improvement. ITIL did not just expand coverage, it also made IT service management systematic. The guidelines provide the best practices for the delivery of IT services. It’s organized in five different volumes that help IT firms create a stable and scalable IT environment that implements cost-efficient practices and helps clients manage risks. What are the 5 Books of ITIL? ITIL is a library of five volumes, or books, that are compiled around a service lifecycle that improves five stages: service strategy, service design, service transition, service operation, and continual service improvement. In this section, we’ll look at these five stages, and explore how Freshservice can help you in the service lifecycle. Service strategy is the phase where the focus is on who the customer is, the services to meet the customer’s needs, the resources required to develop those services, and the requisites for the successful delivery of the services. In short, you identify the client’s business objectives, and you conceptualize a portfolio of IT services to meet those objectives. As you develop a strategy, you must be sure that the cost is at par with the value that you provide the client. Let’s use an example to further illustrate this stage. Let’s say a local bank’s goal is to become a trustworthy financial institution where people can safely deposit and withdraw their money. It is during the service strategy stage that you explore and consider the infrastructure, operations, and security options that can help your client achieve its business goals. You also have to analyze the risks and costs involved in successfully delivering these services. In the service design stage, you move from conceptualization to development. You begin to determine technologies and the architecture needed to deliver the services required by the customer. You also put into writing the tools and the management systems required to support and monitor the IT services that you plan to offer. Under the service design stage, you create the blueprint of a predictable and stable IT environment. The price tag, however, must justify the environment’s functionality and performance. Using the same bank example, the service design stage is where you put the timelines of completion, the suppliers providing the hardware for systems infrastructure, the talent required, the technologies, etc. to help the client achieve its goal of safely welcoming deposits and withdrawals to paper. While you consider all factors, you must also ensure a return on investment. In the service transition phase, you move from paper into actual building and testing and eventually production. As you progress through this stage, you will inevitably encounter the need to change because you will likely discover more efficient components, such as hardware and software, while testing. These new components may help reduce service interruptions or add value to the client. You continue to test the robustness of your system until you are ready for release. At this phase, FreshService IT Servicedesk Software can help. It offers a user-friendly service catalog that can help you, your managers, and your employees identify and order the exact items and services required to build and improve the client’s IT environment. The service catalog can be particularly helpful in building a database of items and services for continual development. Once the transition is complete, your focus turns to keeping the IT environment running smoothly. You deliver the service on a daily basis while monitoring its overall health. Furthermore, you quickly address service disruptions, investigate the root cause of issues, analyze whether there’s a trend in recurring problems, and deliver user requests while keeping costs at a minimum. Service operations can be considered as a project management phase, and this is where FreshService IT Servicedesk Software can really add value. The ITIL-aligned service desk software has three features that can help you rapidly resolve failures or disruptions and address end-user requests. This feature allows users to create tickets via email, phone, self-service portal, live chat, or in-person. You can even track, prioritize, and automate the process to drive efficiency. With a multi-channel support in one platform, you can see all events in your service desk, enabling you to reduce resolution time. 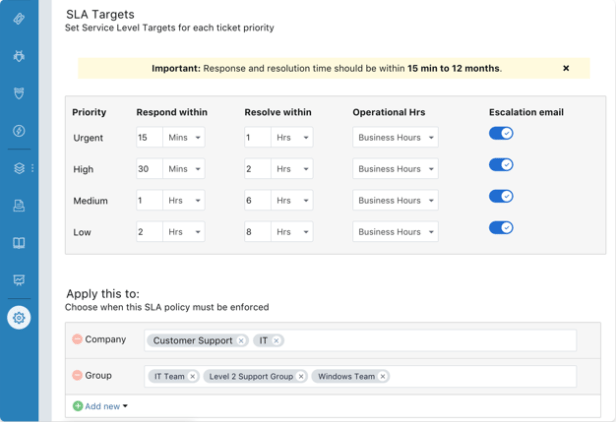 This feature lets you create multiple SLA policies to help you set task deadlines according to various criteria, such as source, type, group, or priority. 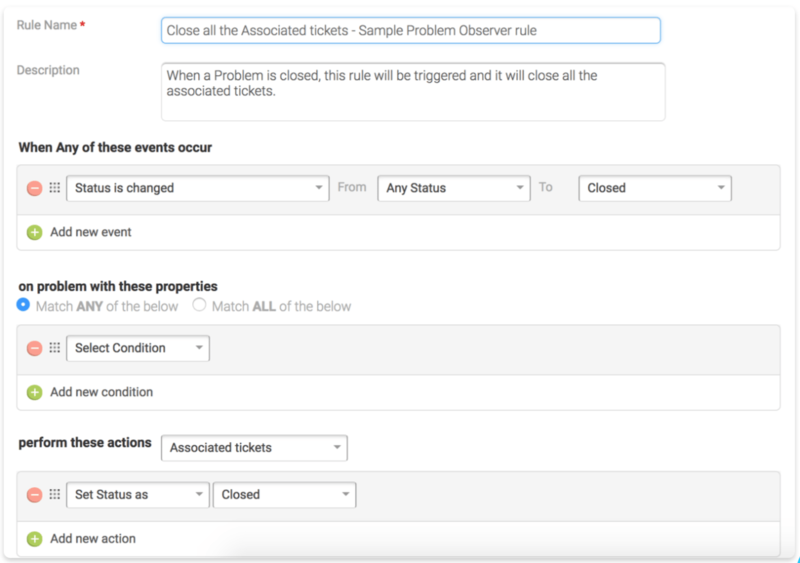 In addition, you can pre-define automation rules to prioritize or escalate tickets, so you get to resolve issues on time. In the early stages of service operation, you’d expect end-users to submit a ticket for every concern. As an IT provider, this is a great opportunity to find fixes and create workarounds to solve issues. In the long run, however, you can document the information so you can quickly resolve the same issues should they arise again. Enter Freshservice’s Knowledge Management feature. With Knowledge Management, you can build a knowledge base with solutions to issues that can be understood and used by both employees and technicians. 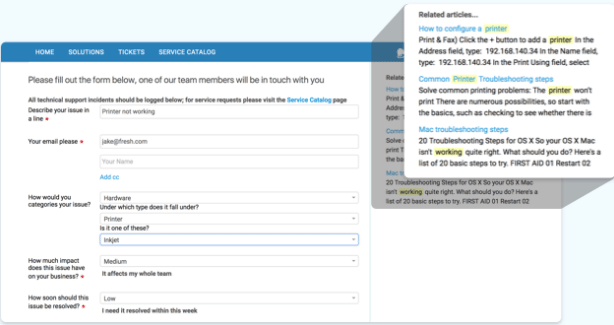 Moreover, employees get smart suggestions from the service desk when creating a ticket. They can use the suggestions and resolve the issue themselves. The continual service improvement (CSI) phase encompasses all stages of the service lifecycle. It provides you with the best practices to assess, measure, and boost the performance of your IT environment. The term continual is used instead of continuous to emphasize the achievement of process efficiency through incremental or stepwise improvement. Under CSI, you continually improve the infrastructure, workflow, and functionalities as you new technology and practices emerge. Freshservice’s automation feature works well in this phase. 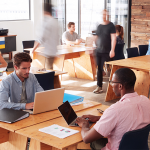 As the modern service desk platform is aligned with ITIL, it is designed to help you eliminate redundant tasks and simplify your day-to-day workflow. 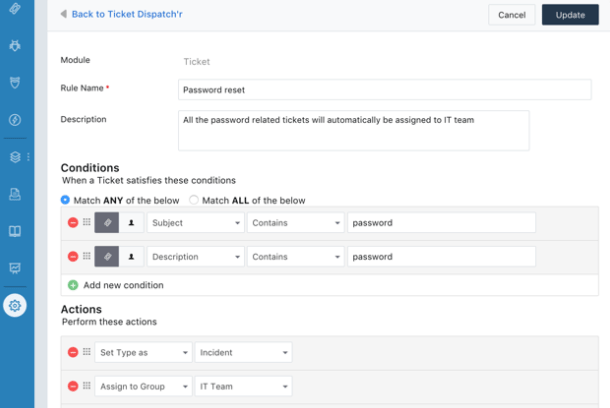 With the Dispatch’r feature, you can set rules so you automatically escalate tickets to the appropriate personnel and prioritize them based on urgency and impact. You can also use this feature to use tickets to set recurring tasks. ITIL is the most widely adopted IT approach for service management. It offers a set of best practices organized in five different publications which include service strategy, service design, service transition, service operation, and continual service improvement to ensure that the client’s business objectives are efficiently met. Do you have an interesting insight on ITIL? Feel free to share them with us.